Looking for a creative way to practice your English? Join us for a theatre-focused ESL program for youth to feel more comfortable and confident in speaking English. 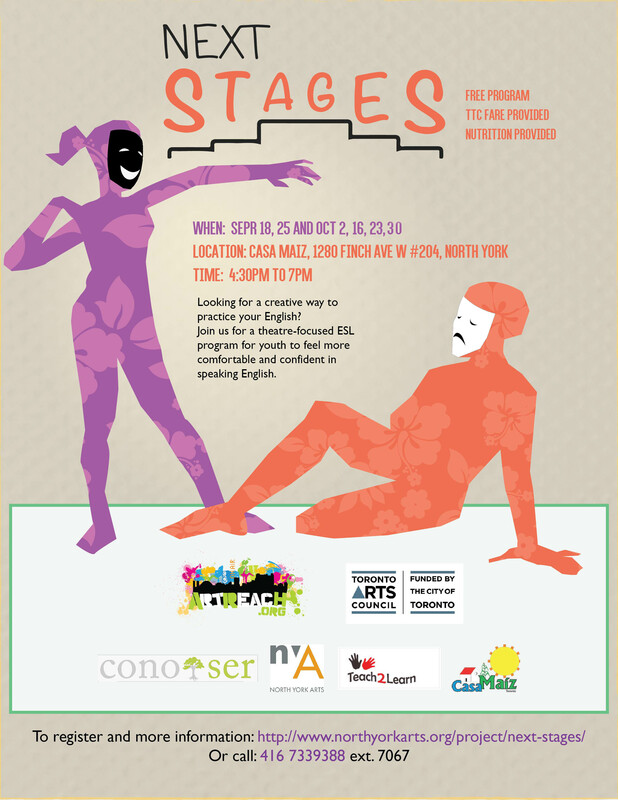 Next Stages is a series of FREE theatre-focused workshops that will help youth participants with basic to intermediate English communication skills feel comfortable and confident in their speaking abilities.